Kytola Instruments (Finland) together with Florite Australia recently announced the newest addition to their industrial oval gear line of flow meters, the stainless steel model SRP. This meter is an excellent solution for process control in industries such as automotive, chemical, oil and gas, mining, pulp and paper and steel mills. This new stainless steel model from Kytola Instruments is specifically designed for accurate flow measurement of liquids in demanding industrial environments. 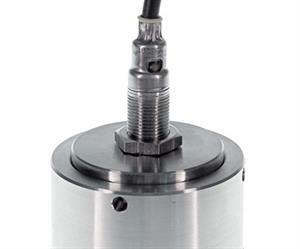 This positive displacement flow meter is suitable for a wide range of applications and provides excellent levels of linear and repeatable accuracy. It always shows the correct flow rate regardless of the liquid temperature, viscosity change or pulsating flow and provides substantially lower pressure drop than conventional gear flow meters. The SRP is a compact yet robust meter and it can be installed vertically or horizontally in areas where space is limited. It has been engineered for a wide range of flow rates from 0.25 to 150 L/min with a maximum pressure rating up to 600 bar and in connection sizes from ¼" to 1". 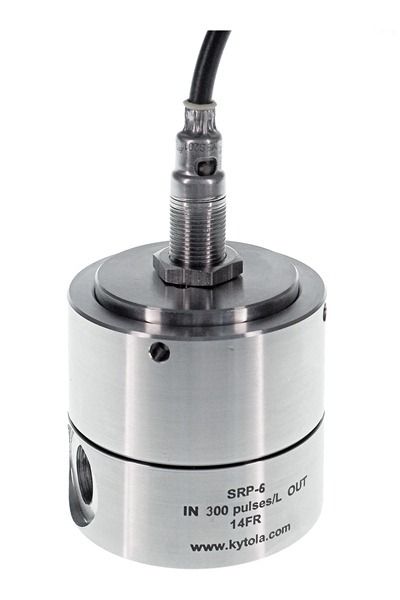 The SRP has an accuracy of +/-0.5 per cent of reading and other features include choice of sensor, gear material and connection type. Due to its durable construction the SRP is perfect for use in the harshest environment for applications that use chemicals, additives, solvents, oils and fuels.